Using the Google Maps Apps - How Advanced Is the Apps? Google Maps have been one of the best features to come from Google. Everyone knows Google is one of the best of today especially since now they are not only getting into apps and internet searching but all sorts including the latest smart phones and tablet PCs. The Google Maps app has not been around for long, they are still new but they look set to be around for the future. The Google Maps app for almost every device is perfect. Google is going toe-to-toe with Apple and their new Apple Maps and it looks set to be a fierce contest. iOS is getting the Google Map app option, if the Apple option doesn’t meet their requirements, and it does look a more tempting offer. 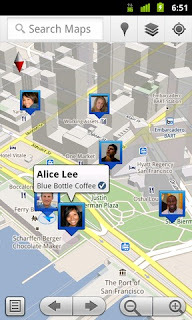 There is however a number of newer and more advanced features of the Google Maps apps. You can get the free GPS Navigation feature. This can work for you whether you are in a car driving or even using a train or any public transport; and it can even be used as a navigational tool when out walking! You can get directions whenever you need them! If you need to view any maps, you will be able to see them in complete 3D! This means when you are viewing your Maps, you can see everything in clear detail. You can even rotate the maps and drag down features to view them more! Even when you are offline or have no signal the apps still work. You don’t actually need to be online so even if you lose your internet connection temporarily, you can still get access to interact with your maps. Going through a tunnel and losing a connection can be annoying but the maps won’t be lost! This smart feature allows you to find where your friends are! You can actually find your friends live at that precise moment. 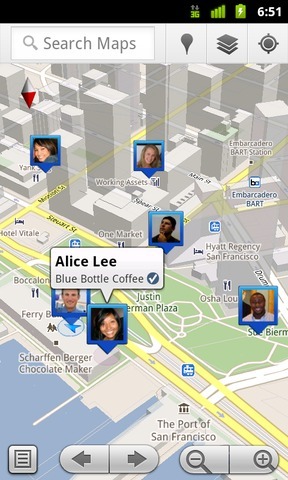 You will be able to let people know where you are and find your friends! You will even be able to find out about traffic. This is real time traffic alerts and this allows you to actually be able to find the routes which are the quickest to use. You will be able to use the overlay layers. You will be able to find out multiple things such as traffic reports, the terrain, and many more things at the same time. These are only a few of the many features that come from Google Maps app but each feature is amazing. It does offer a huge amount of enhancements that make the app that little more amazing. Smart phones and tablets can actually have the map apps built in and it can give anyone directions whenever they need it. Of course, the map app is amazing and it does offer a lot but it will have a good amount of competition.